Apple River Well and Pump Company is now a member of the Water Systems Council! The Water Systems Council had a nice write-up of us in their newsletter. 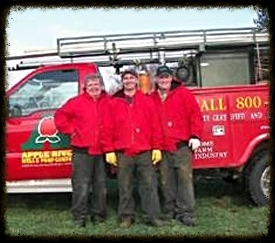 New Member: Apple River Well & Pump Co.
“They say the apple doesn’t fall far from the tree, and that is certainly the case for Apple River Well & Pump Co., a third generation water well drilling and pump installation contractor serving the tri-state area in Illinois, Iowa and Wisconsin. John Liberg is the second generation owner, and his son, Brady, represents the third generation of ownership. John’s father, also named John, started the business in 1954 in Illinois, and the family has a long history of involvement at the state level with organizations that promote the use of wells as a safe water supply. John Sr. was president of the Illinois Water Well Association, followed by his son John who served as president of that same organization, now known as the Illinois Association of Groundwater Professionals. Brady Liberg currently serves as a member of the Board of Directors of the Iowa Well Association. In addition, John has been appointed by four Illinois governors to serve on the state’s Groundwater Advisory Council, a nine-person group that reviews, evaluates and makes recommendations regarding state laws, regulations and procedures that relate to groundwater protection. Apple River Well & Pump serves residential, commercial and government customers from six locations in Dubuque, IA and Galena, East Dubuque, Elizabeth, Hanover and Savanna, IL, for water well drilling, pump installation, water softening, conditioning and treatment. John says he joined the Water Systems Council because he finds it a tremendous resource for his customers (he supplies each customer with a WSC brochure) and for the work WSC does to promote and protect our groundwater resources. Thanks Water Systems Council! We’re excited to be a new member!